It has been a busy first week, with the theodolite team undertaking monitoring shifts twice a day, the unveiling of SouWEST’s “Whale Count Boards”, and a whale-spotting trip to Point Picquet by Dunsborough Primary School! The theodolite team began their observations last Monday (5th November) up on the hill at Point Picquet, Meelup. So far, the team has had some amazing sightings, despite some rather tempremental weather! The highlight was on Wednesday, when they spotted 10 blue whales in one day! We have also seen a number of blue whale calves, not to mention some pretty amazing acrobatic displays from the humpbacks! In an effort to spread the word about the whales in Geographe Bay and fantastic sightings like these, SouWEST has set up a number of “Whale Count Boards” around Dunsborough. These boards provide information about our daily whale count, and a tally of the whales and hours of effort so far through the season. The boards also feature a special “Whale Tale of the Day”, describing any particularly cool highlights from our time in the field. We have also set up an information stand in the central foyer of Coles, complete with an extra-large “Whale Count Board”, some brochures describing our research, and a few features from the media. 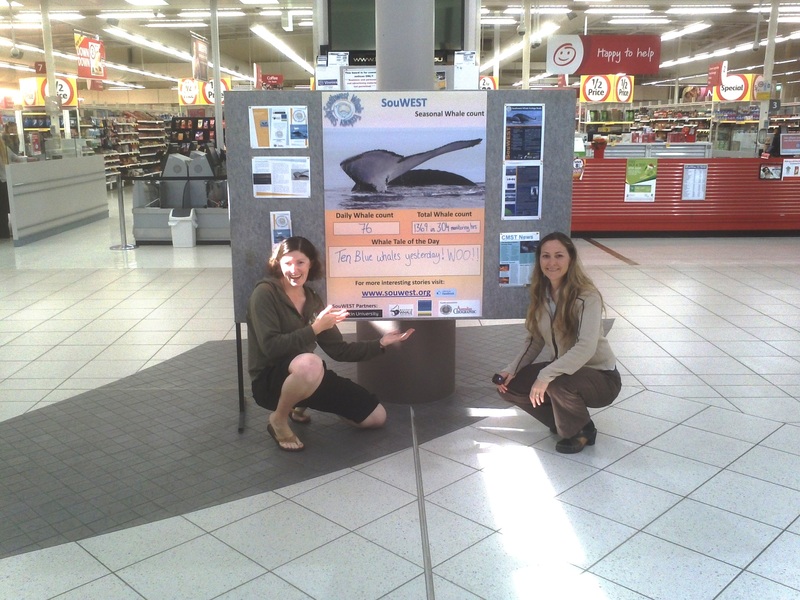 And of course if your business is interested in having a SouWEST “Whale Count Board” in your window or information board, please do not hesitate to Contact Us! 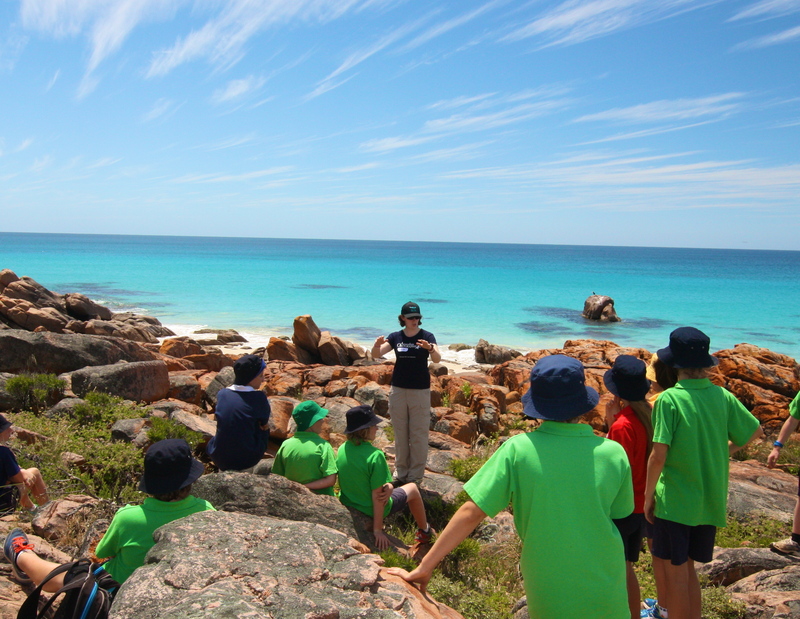 Last Friday, Chris Burton (Western Whale Research) and Sarah Marley (Curtin University) went to Point Picquet with Dunsborough Primary School’s Year 7 classes. The researchers talked about how to identify whale species in Geographe Bay, the biology of these animals, and how we study them. The kids did a great job, with every class managing to spot some migrating humpback whale pods! If you would be interested in having SouWEST present to your group or organisation, please do not hesitate to Contact Us for more information and to arrange a date!